lawsuit | I am JuJu! My Response to the Investigation of Dr. Anju Usman! The past few days I have seen a lot of links on Facebook and Twitter regarding a lawsuit that was filed against a well known autism doctor, Dr. Anju Usman. As my husband can attest, the comments and the “likes” on Facebook pages referencing these articles have really bothered me. What do people “like” about this recent article? Do they like that this doctor is being sued? I didn’t want to respond out of anger or emotion. I wanted to read the current article as well as previous articles before I shared my response. Let me be clear. I am not bothered by those individuals who shared the link to this article. I think it is important that we share information with one another. What bothers me are the negative responses about a doctor that the people making the comments don’t know. The article that appeared in The Chicago Tribune was, in my opinion, very poorly written. The reporter presented a very one-sided argument and did not appear to have done much research on the situation. It appears that the reporter took one man’s opinion and turned it into a “smear article”. After I read the article, it was clear to me that Dr. Usman had been dragged into a really nasty custody dispute. This article accuses her of being overly agressive in her treatments and promising a “cure” for autism. This article makes her out to be a monster that preys on families that have a child with autism in order to make more money. Well, I’m here to tell you that is not true! You see, I know Dr. Usman as she has been Skylar’s D.A.N. physician for the past 8 years. Dr. Usman is a phenomenal doctor. I have no doubt that she genuinely cares for Skylar and our entire family. She has laughed with us, cried with us, and shared MANY successes with us! Let me give a little history on how we found Dr. Usman. After we moved to Ohio in 2002 we started seeing a D.A.N physician in Cleveland. After a phone consultation and 2 face to face meetings it was clear to us that he was not a good fit for our family. I never once believed that he cared about Skylar. I remember leaving his office saying “What did we just pay for?” The following spring I traveled to Northern Virginia for the annual D.A.N. conference. It was at this conference that I first heard Dr. Usman speak. Her oldest daughter had recently died from a severe peanut allergy and the passion in which she spoke of her patients was amazing. I called my husband on a break and told him that I had found a new D.A.N. physician for Skylar. After returning home I did quite a bit of research on Dr. Usman. I was part of several autism message boards and when I asked about her I received a ton of responses ALL which were glowing recommendations. Not one person had anything negative to say. I also read anything I could get my hands on in regards to a biomedical approach to treating autism. We had already implemented the Gluten/Casein Free Diet and she had shown tremendous improvement. Skylar was also already in an early intervention preschool & weekly physical/occupational/& speech therapies. Our first visit with Dr. Usman was great. She immediately sat on the floor with Skylar and interacted with her. What I loved was that she spoke “to Skylar”, not just “about Skylar”. We left her office with a treatment plan of various supplements and lab work that we would have done at home, but we also left with hope. Dr. Usman made no promises of a cure. She made no guarantees that any of the supplements would help, but we were willing to try different supplements and treatments if they weren’t harmful. We have tried lots of different supplements over the past 8 years. Some of the supplements Skylar currently takes she has been on for a long time, others are more recent additions. If we don’t see any improvement in labs or specific behaviors Dr. Usman is the first to say that there is not a need for her to continue with that supplement. Dr. Usman also talks to us about what she thinks could possibly help Skylar and WE make the decision as to whether or not we think Skylar should try it. Dr. Usman has NEVER pressured us to try any treatment. She has always been extremely cautious and I have no doubt that she has Skylar’s best interest at heart. So now that you know my thoughts on Dr. Usman, I’d like to share my thoughts on some of the comments that people have made against her. I was amazed at the number of people who commented about certain treatments that clearly had not researched the treatments and just wanted to spew negative thoughts in order to “fuel the fire”. Below are a couple of the comments that people made (in italics) and my response. I have two beautiful chldren (girls) who have Autism. One of the things that bothers me more than anything is parents not accepting their child. Really? I made my feelings pretty clear in this post about the fact that I accept my child for who and what she is, but I won’t ever stop trying to help her be the best Skylar she can be. The lady above went on to say that parents who do biomedical treatments don’t love and accept their kids. She “accepts” her daughters who have autism yet she still continues to send them to school, take them to therapy, and have them treated and medicated by a traditional pediatrician. If she truly “accepted” her children as they are, why would any of this be necessary? It seems to me that what she doesn’t accept is that there are parents who want to go above and beyond traditional methods to help their child. When I read her full comments (and believe me there were lots of them) I didn’t see acceptance; I saw nothing but judgement! I can’t believe that parents are subjecting their children to horrible and harmful procedures such as hyperbaric treatments. To put your child into a pressurized tube in order to give them more oxygen is just pure torture! Now that I have stopped hysterically laughing I can address this. This is one of those comments that just prove that people speak without thinking. I’m amazed at how people can make blanket statements without ever doing any research into what they are talking about. This is clearly the case with the comment above. You can google “autism” and “hyperbaric chamber” and come up with countless stories from families who have utilized this treatment. There are also many medical journals that have reported positive results in children with autism. We started researching Hyperbaric Oxygen Therapy (HBOT) years ago. Dayton Children’s Hospital was conducting a study at the time for children with Cerebral Palsy and although Skylar was not a candidate for the study, the neurologist encouraged us to look into it. So, clearly we did not seek one opinion on the matter. We did a “test dive” at Dr. Usman’s office a couple of years ago and Skylar did really well, but we knew that it was not something we could afford at the time. After YEARS of researching, discussing, and praying about this form of treatment, we proceeded with purchasing a chamber this summer. We did not purchase our chamber from Dr. Usman’s office so anyone who claims that she profited from our purchase is totally mistaken. Also, HBOT therapy is not painful AT ALL. Both Chris and I have been in the chamber with her. For those of you who don’t know Skylar, she is totally verbal. She also tends to over exaggerate if she is in pain or feeling bad. She has never once complained about being in the chamber. In fact, she comes to us with her cup of water, snack, and the iPad and says “I’m ready to get into the chamber!” This is clearly not torturing her. 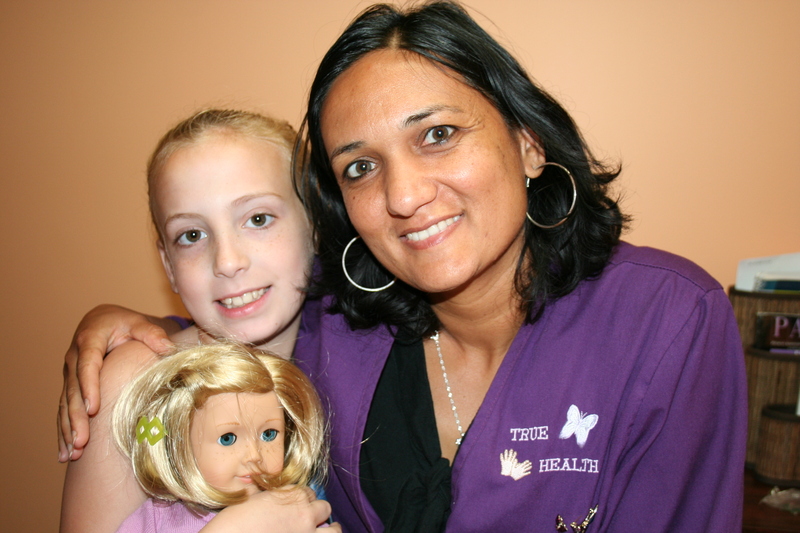 She has completed 50 hours of treatment and the changes we have seen in her are remarkable! Her language skills have really improved. In the past month she has communicated with us like she has never done before. I will share these 4 conversations in a post this next week. They are nothing short of amazing. The most recent conversation/amazing thought process that happened occured during our trip to Albuquerque last week and it was a conversation that Skylar had with one of her former school teachers. She was amazed by the thoughts that Skylar shared and she reported that she had never had a conversation like that with Skylar before. We have SEEN tremendous improvements in Skylar’s language, behaviors, and overall health and well-being since we’ve been taking her to see Dr. Usman. Coincidence? Nope! Don’t believe in that! What I don’t understand is why people have such a hard time accepting those of us who choose to utilize biomedical treatments for our children. Our family and friends have always been very accepting and non-judgemental. I know it is because they have SEEN the improvements in Skylar. I don’t judge parents who choose only to utilize traditional treatments, so why must they judge me? This is something that we CHOOSE to do! Nothing has been forced upon us. It is truly unfortunate that because of one complaint by a father who claims that his son has been harmed, we are at risk of losing wonderful doctors who want to help children with autism. One thing I have learned since starting this blog is that the autism community is really divided! There are those who are anti-vaccine & those who are not. There are those who love Autism Speaks & those that don’t. There are those who support each other & those who bad mouth others who are speaking out, trying to make a difference. There are those who want to help their child in any way they can & those who keep shouting “accept my child the way they are because they aren’t broken!” Don’t we have enough difficulties as it is in our world already? Do we really need to be bashing one another?